Opening May 4th. Please join us! Opening Sat. 4/6, 3-6 p.m.
Plein air watercolor workshop with the artist Sat. April 20, 1-3 p.m. Artist will also be at the gallery Sat. April 13, 1-4 p.m.
Hayes Valley Art Works is pleased to present “Plein Air Travels,” an exhibition of paintings by Lucia Gonnella. Lucia is a San Francisco based Plein Air artist; all her paintings are done “alla prima”, started and completed outdoors. Her work aims to seize a moment of life on a canvas using acrylics, watercolors, black ink and oils in a vibrating and spontaneous sketching. Born in Bari, Italy, Lucia showed an early passion for painting and drawing. She studied design, composition and figure art at the Academy of Brera in Milan and pottery at Cova School in Milan, and studied painting at the studio of Sergio Albano in Turin. She took part in the exhibitions of the Perrone Group, a group created by Mr. Albano, and in the exhibitions of the Brera Group in Milan and Isola Comacina at Lake Cuomo. 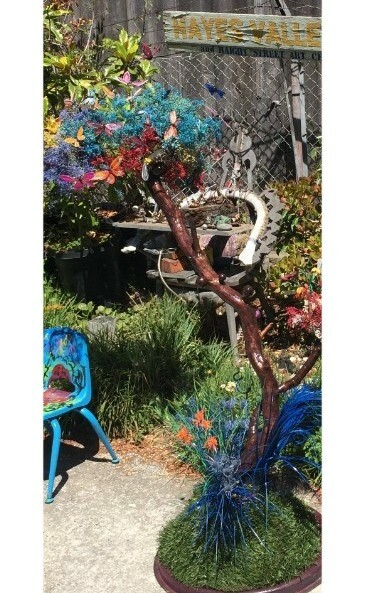 Lucia exhibits frequently at Live Worms Gallery in North Beach, and is a member of City Art Gallery. Lucia has traveled extensively in Europe, Nepal, and the United States, and taught French and Italian in Belgium for six years. She splits her time between San Francisco and Italy, two places and cultures that equally nuture her artist soul. Exhibition runs April 5 – 28, 2019. Open Fridays, Saturdays, Sundays and Mondays, 11 am-4 pm. 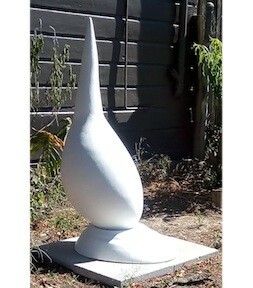 A showcase of 20 emerging Bay Area Artists in the Hayes Valley Art Works Gallery and Sculpture Garden. Advanced art students at San Francisco State University, led by Professor Mike Arcega, will showcase individual and group artworks. Please join us for the reception of the work focused on art and social function and their engagement with Hayes Valley Art Works. 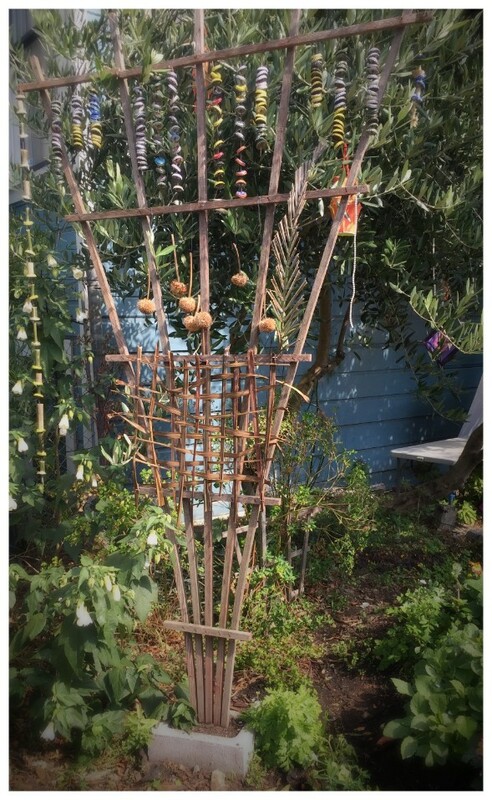 In partnership with the San Francisco Department of the Environment and Hayes Valley Art Works, Friends of the Urban Forest (FUF) offers living, potted Christmas trees in November and December each year. FUF Green Christmas Trees are better for the environment than traditional dead trees. 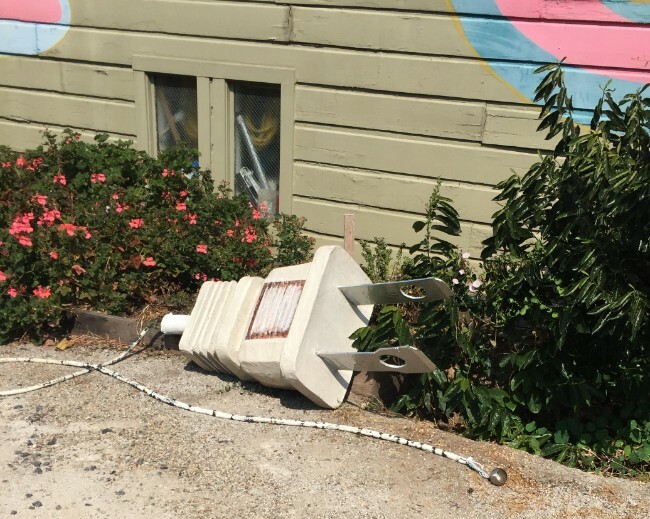 They reduce waste and post-holiday litter — and once they’re planted on the streets of San Francisco, they’ll provide benefits for generations. 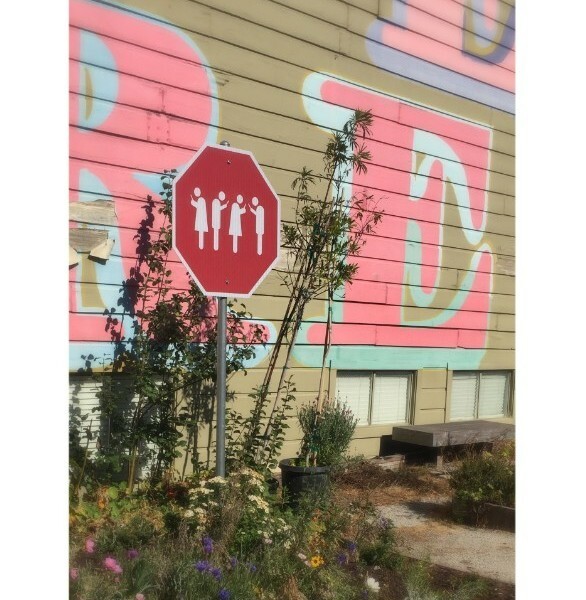 FUF offers species that are popular choices for beautifying the streets of San Francisco, such as Primrose, Fruitless Olive, and Fern Pine. 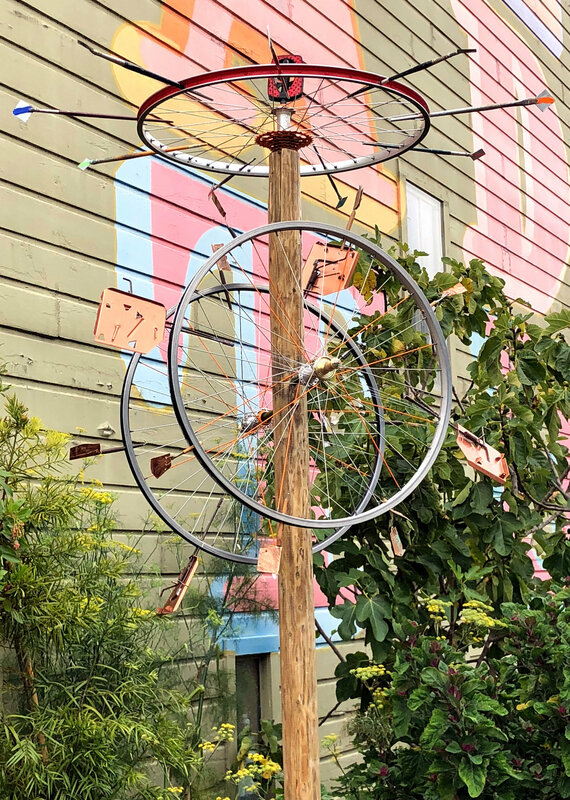 In addition to warm cider from FUF, Hayes Valley Art Works will be hosting crafts with an assortment of holiday DIY projects. Find the events on Facebook here. International media artist Rikki List’s six interactive panels on dry-erase material allow visitors to write their own thought bubbles with dry erase pens. Stop by and watch this piece evolve – and participate! Michelle Echenique works with reclaimed material, including natural debris such as the trellis in Totem. She created these pieces specifically for HVAW’s garden. “Honey Bear” was fnnch’s first sculpture, created for Burning Man 2016. 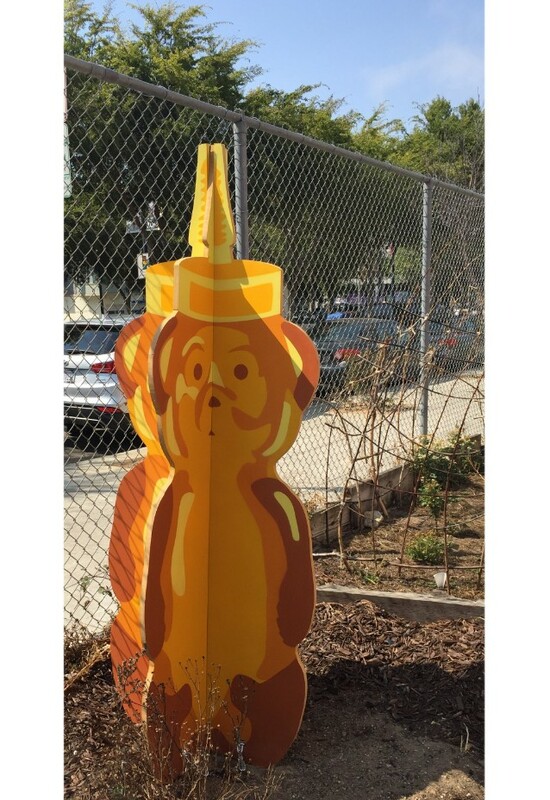 The honey bear is a universal symbol of happiness, spreading surprise and delight. These positive emotions then entice the viewer to think differently about the space in which the bear exists. Todd’s playful sense of humor and whimsy shines through in these two wonderful additions to the sculpture garden. Ok, look. It’s the holly daze. The time of year everyone is running around trying to do everything and visit everyone and go to all the parties. I’m here to tell you – just take a long winter’s nap. 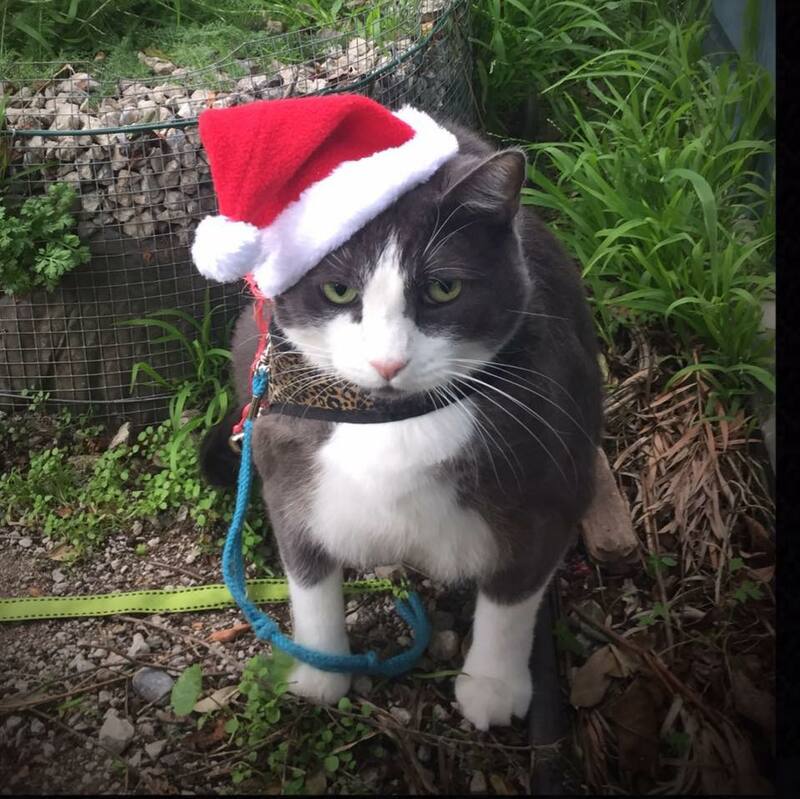 In a Santa cap. It works for me. You might feel a little silly at first, but trust me – you will wake up refreshed on January 1st, and all the madness will be over. Meantime – if you must join the hustle and bustle, please do stop in the garden for some pets and crafts. I’ll be there napping in the greenery. 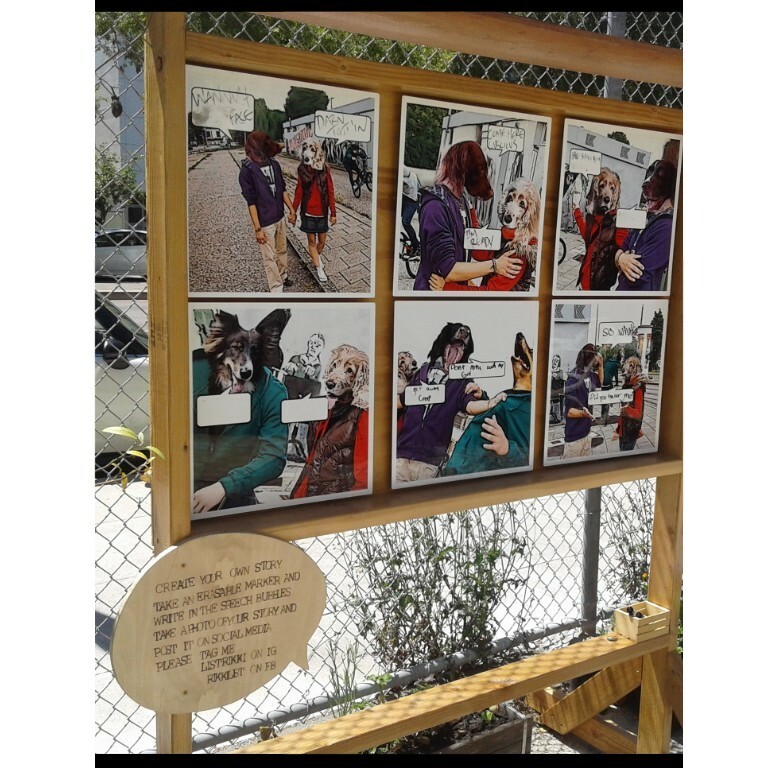 Your donation will help us build Hayes Valley Art Works. Enjoy local thank you gifts and our gratitude.